I first discovered Piedmont wines through a restaurant in Charlotte called Vivace. Always an early bird, I would sit at the bar to wait for the friends I was meeting. 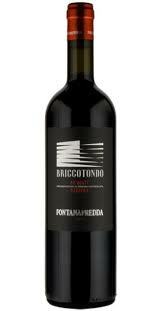 One time, the bartender recommended a Barbera wine from Italy called Fontanafredda – Briccotondo. I enjoyed it and let him know that he’d made a great selection. He tipped me in on a secret….the local Charlotte gem Common Market was the only place to stock it in town and the bottle sold for as much as what a glass in the restaurant ran. I picked up a few bottles and it became a favorite. Fast-forward a few years and we are in Geneva. We attended an expat fair which was very boring but what made the visit worthwhile was a food & wine booth run by a Swiss man and his wife. They were selling Piedmont products and couldn’t have been more passionate. They said after a visit, they’d fallen in love with the area and bought a house. 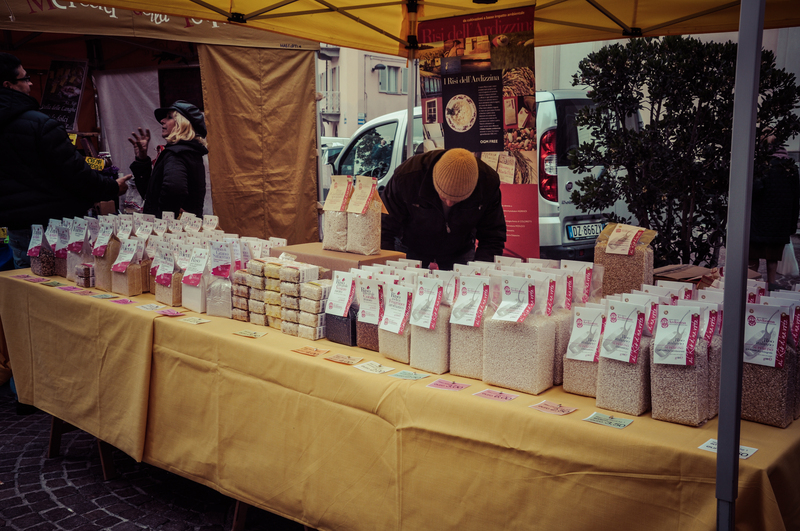 They then started a business selling Piedmont products in Switzerland. They graciously offered us tastes of all their foods and wine. We expressed interest, but our regret that we had not enough francs to buy wine. The gentleman assured us he’d ship us a case and invoice us later. Still new to Switzerland, we were baffled that someone would ship us wine before we paid for it. We were a little skeptical but gave our address. The Slow Food Movement. 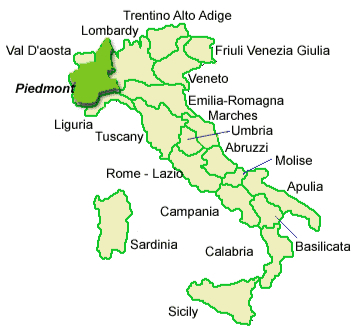 The Piedmont is the birthplace of this movement, which was started to counteract the fast food movement. Basically, the theory is that food sourced locally and prepared mindfully is better for the body & spirit. It’s thinking about how the choices you make in food affects the world. Truffles. 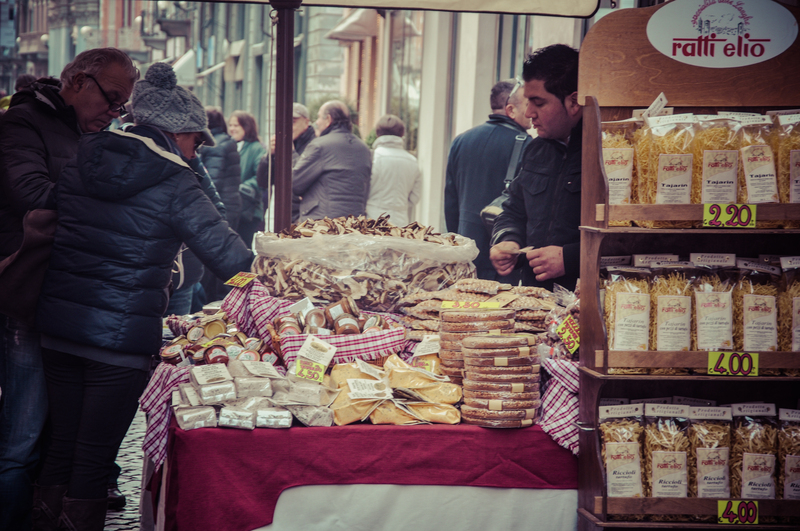 Truffles are basically very rare mushrooms. I love dishes with truffle flavorings….they are aromatic and add a special flavor to dishes. 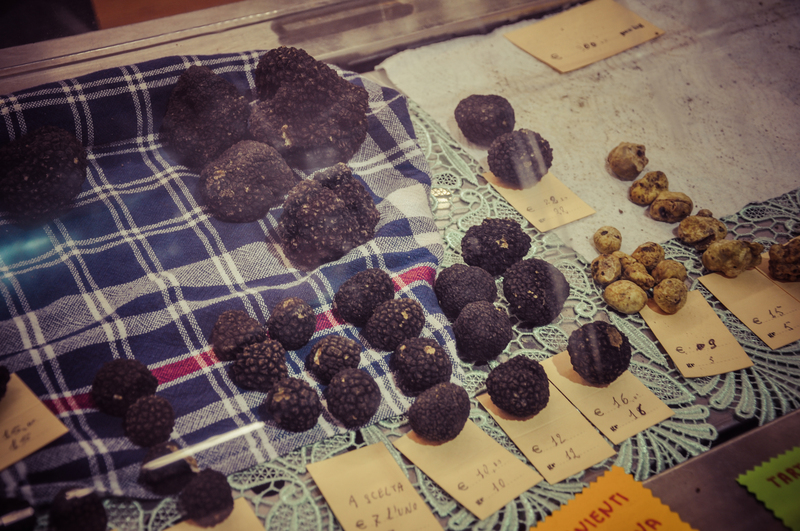 While there are many parts of Europe that produce black truffles, the Piedmont is known for its white truffle. Due to their rarity, they are very valuable. In fact, the world’s most expensive truffle ever sold for $330,000. Risotto. Made with a special short grain rice, Italian risottos are cooked until creamy. I like making mushroom risotto as well as green garden risotto. The best risotto I ever had was truffle risotto at Les Sesflo in Geneva. I bought three types of Piedmont rice from this guy at the Alba farmers market. We happened upon a risotto exposition and decided to get our lunch there. 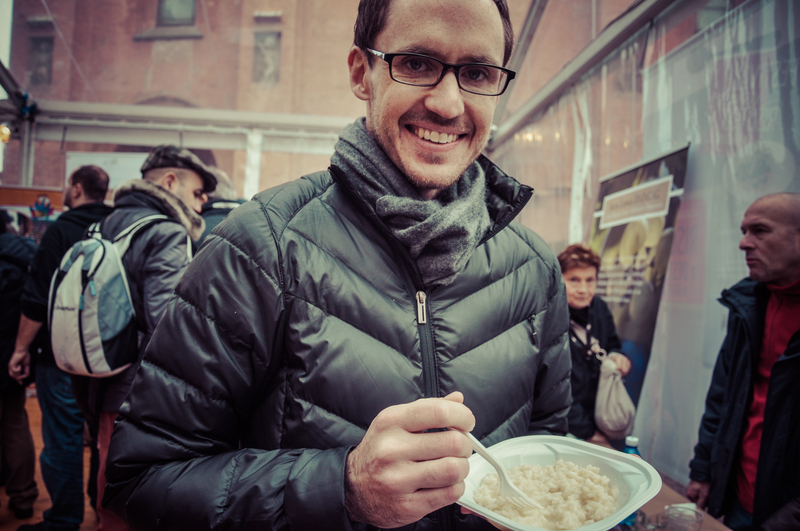 I wasn’t able to express the kind I wanted in Italian, so they gave us ‘risotto spumante’. It is risotto with Asti champagne. Don’t eat so much, Gabe! You have to drive! Hazelnuts. The Piedmont is a prime hazelnut producing area. 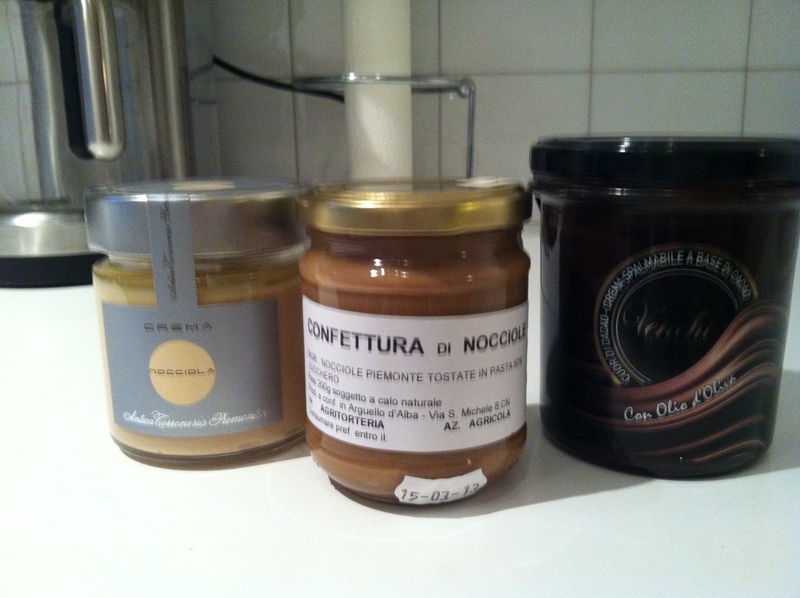 In fact, Nutella was invented in Piedmont! 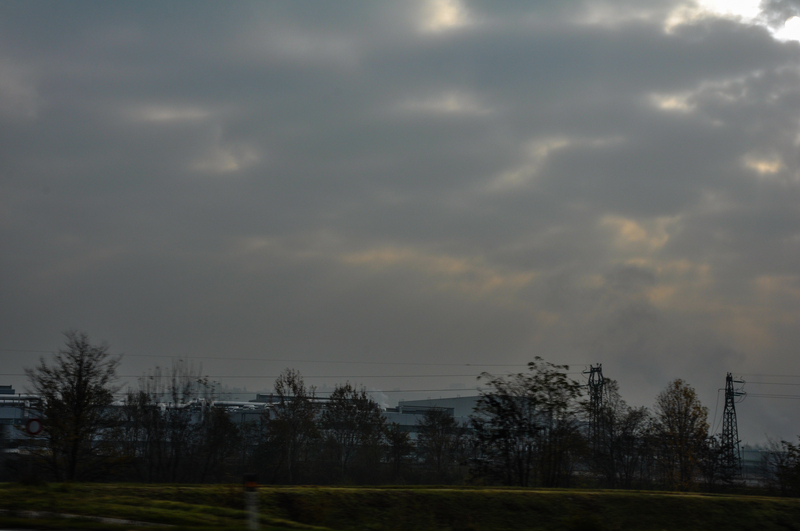 Passing the factory where Nutella was made. 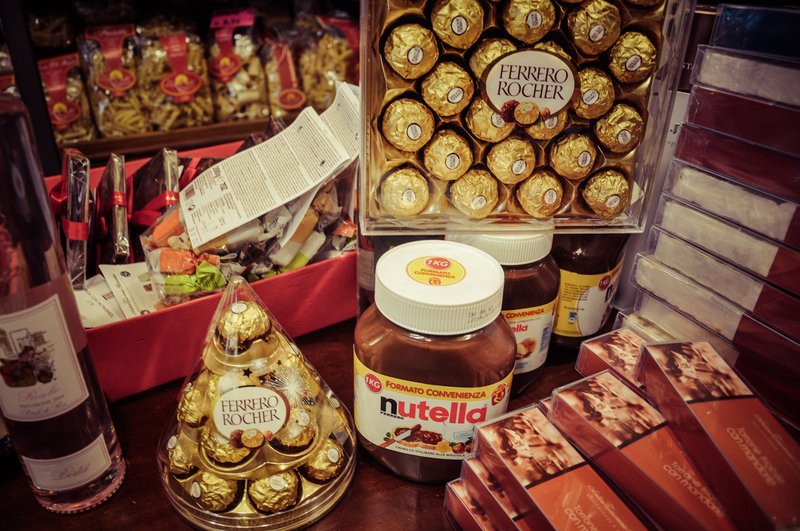 The company who produces Nutella, Ferrero, also produces Ferrero Rocher, the yummy hazelnut truffle candies. However, we did learn that modern day Nutella production uses Brazilian hazelnuts because they are cheaper. A very interested customer. 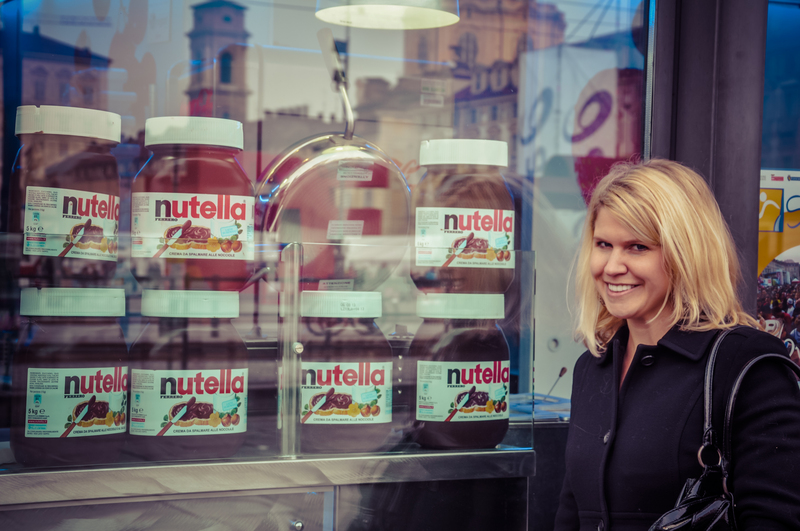 Doesn’t everyone need a jar of Nutella the size of your head? 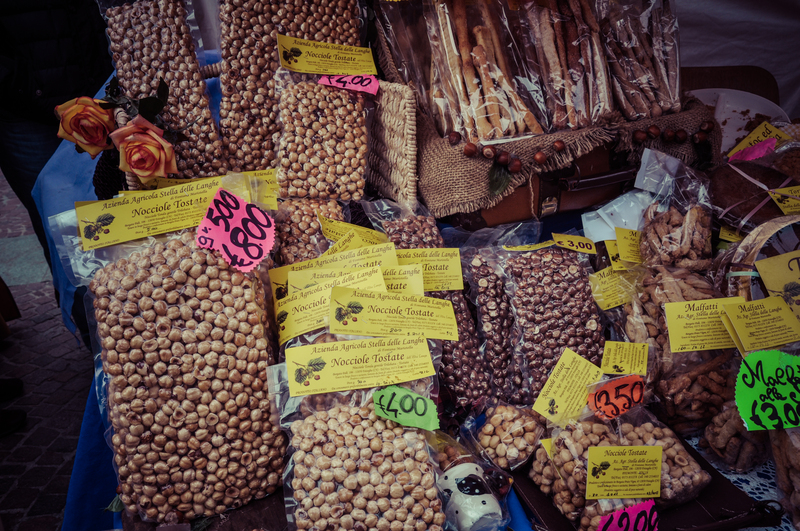 If you are into local types, artisanal hazelnut creme (nocciola) is sold in droves. I decided that I needed to research these artisanal types….you know, for the benefit of the blog. Hazelnuts are also made into delicious cakes and flours. Wine. Piedmont produces a few types of notorious red wines: Barolo, Barbaraesco, and Barbera. As I mentioned, the Barbera was my gateway wine. 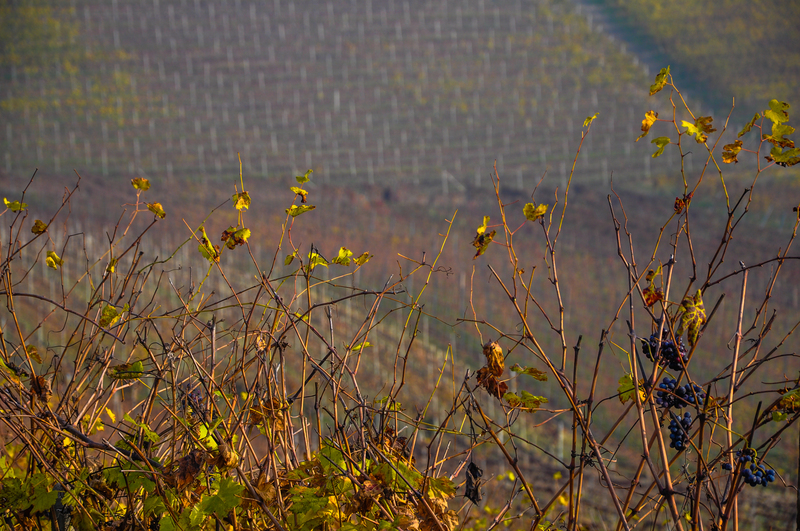 The Barolo is most often named as Italy’s best wine. Also, Asti is famous for its sparkling white wine. 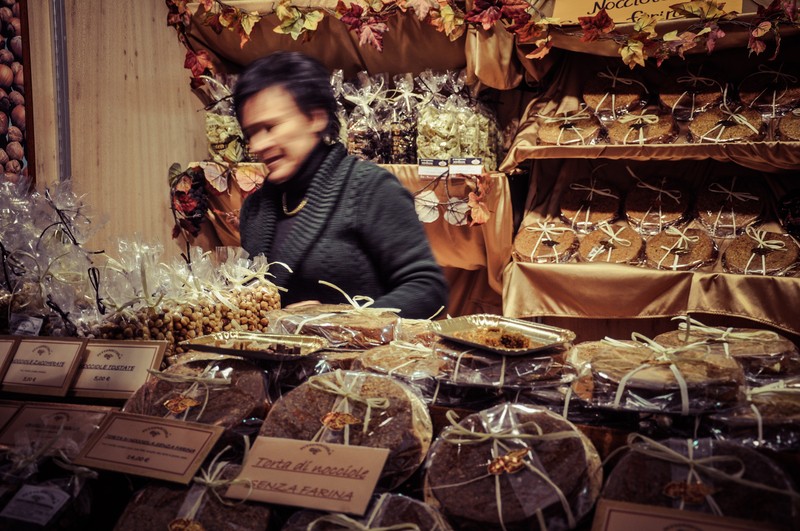 As it is sweet, and it isn’t our preference, we didn’t stop in Asti this trip. What’s not to love in Piedmont?? This entry was posted in Daytrips from Geneva, Food, Wine & Beer, Travel: Europe. Bookmark the permalink.